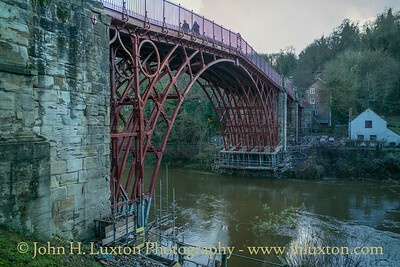 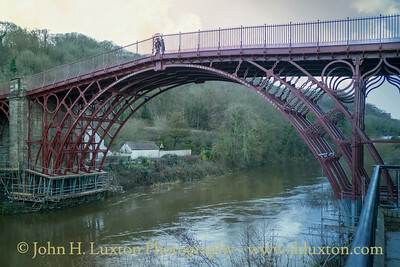 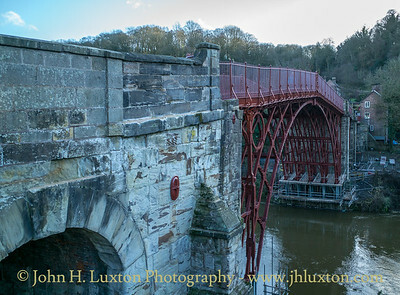 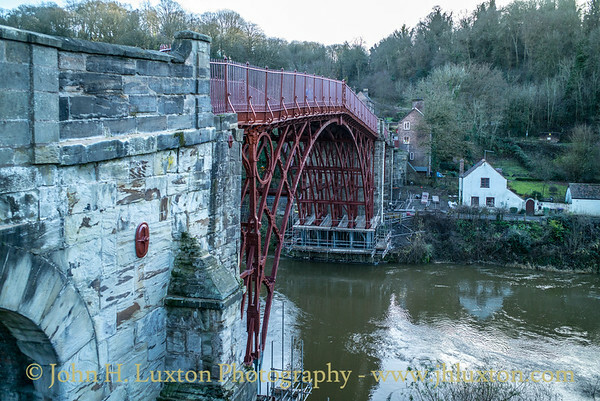 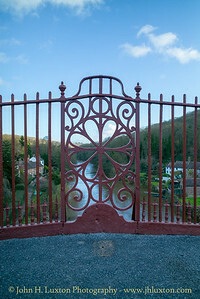 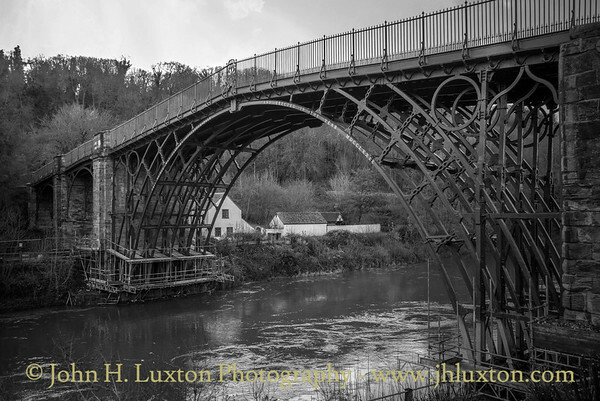 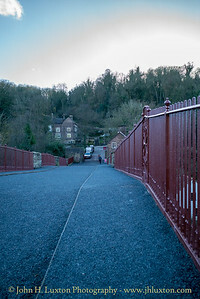 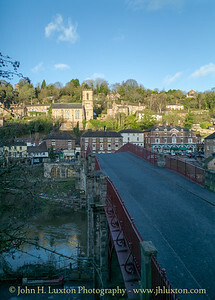 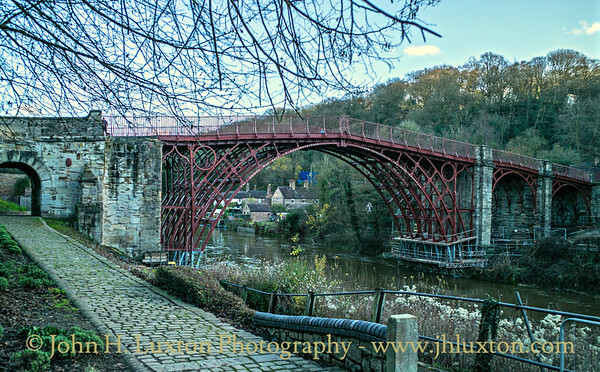 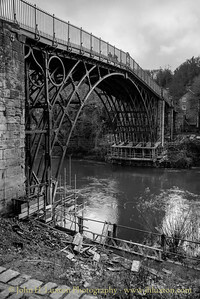 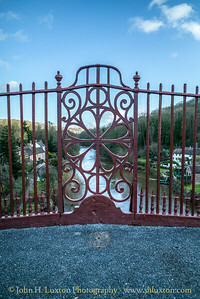 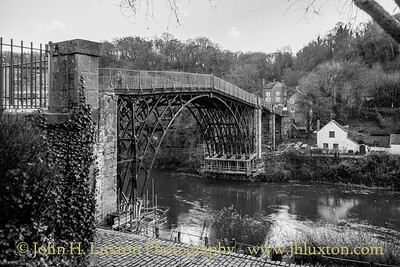 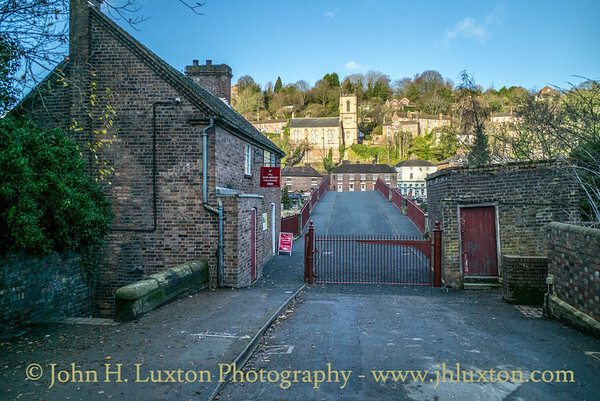 Ironbridge - Home to the World's First Iron Bridge built in 1779 which crosses the River Severn. 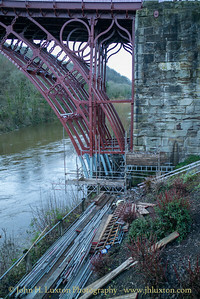 Views of the Iron Bridge at Ironbridge with restoration work commenced in 2017, almost completed. 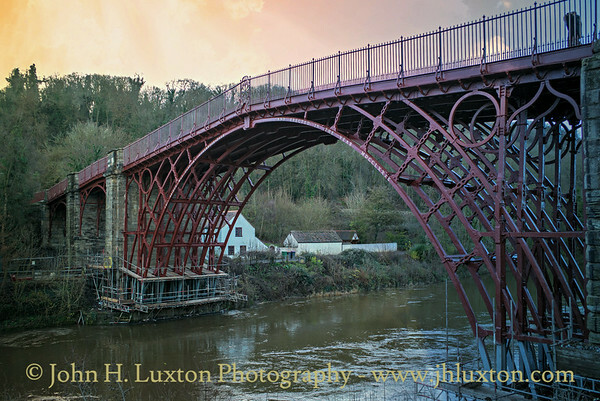 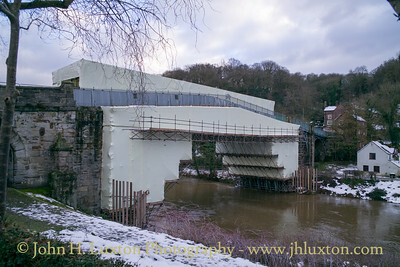 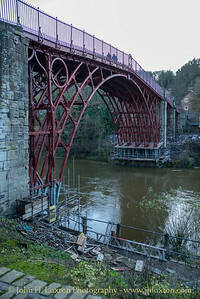 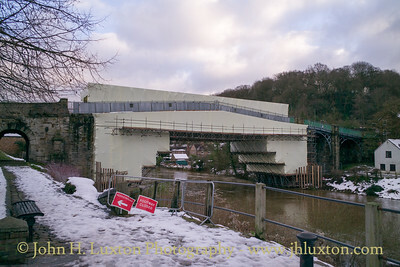 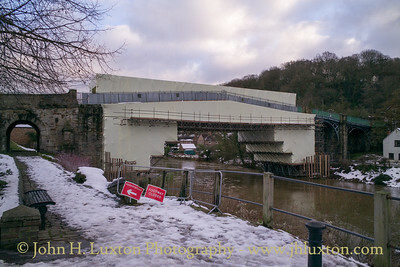 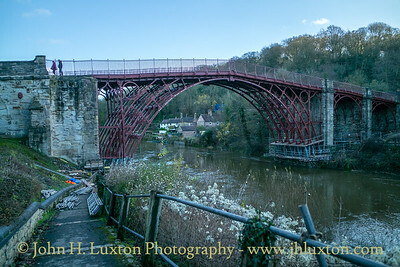 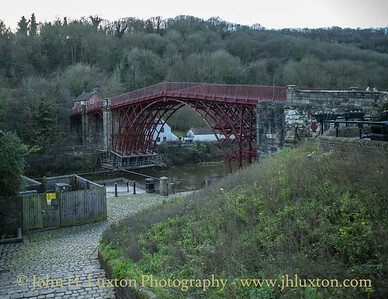 The Iron Bridge at Ironbridge photographed on December 15, 2017 with restoration work underway. 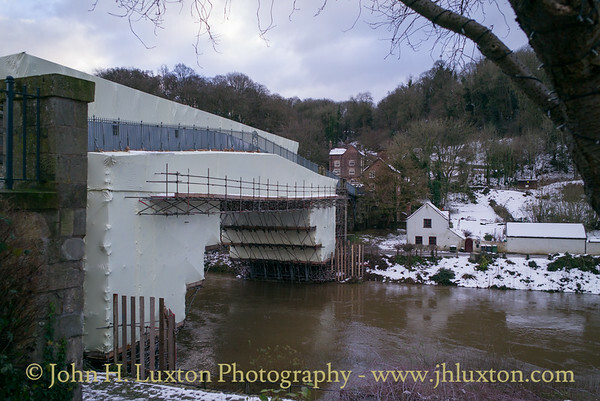 £1.2 million is being spent ton the bridge to restore the bridge and repair damaged caused be ground movement on the banks which is compressing the span.